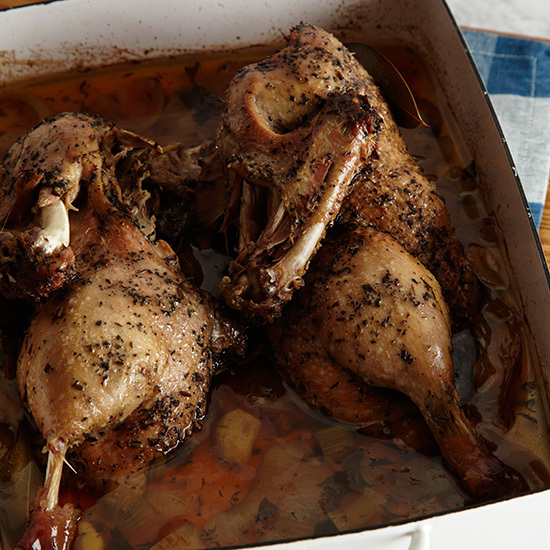 This is the most forgiving and delicious duck recipe you’ll ever find. 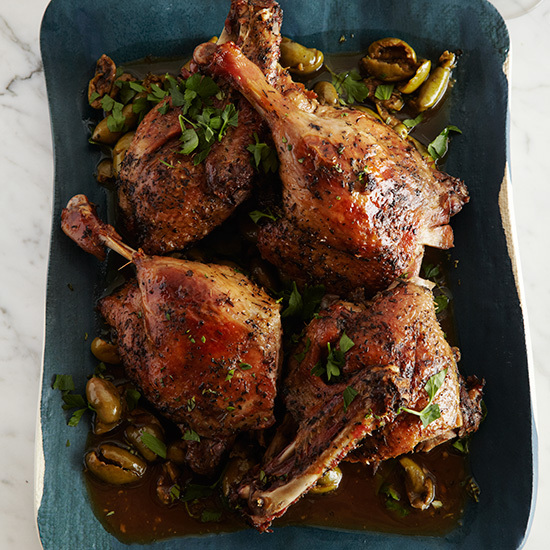 By slow-cooking duck with aromatics until it’s as tasty and tender as confit, then broiling it until the skin is shatter-crisp, this dish manages to play to all of the bird’s strengths. 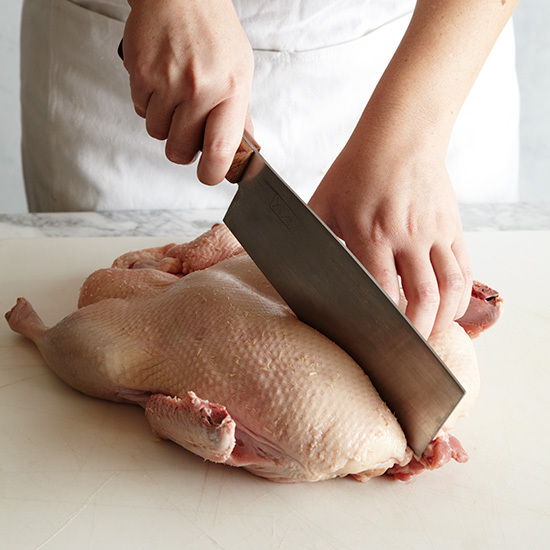 Using a cleaver, cut the duck in half lengthwise. In a small roasting pan, spread half of the chopped onions, parsley, thyme, garlic, bay leaves and celery. 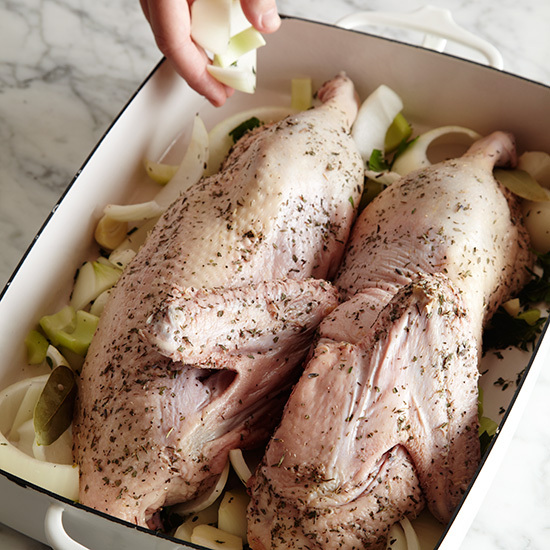 Prick the duck skin all over with a fork and rub with salt, black pepper and herbes de Provence. Set the duck halves on the vegetables, cut sides down. 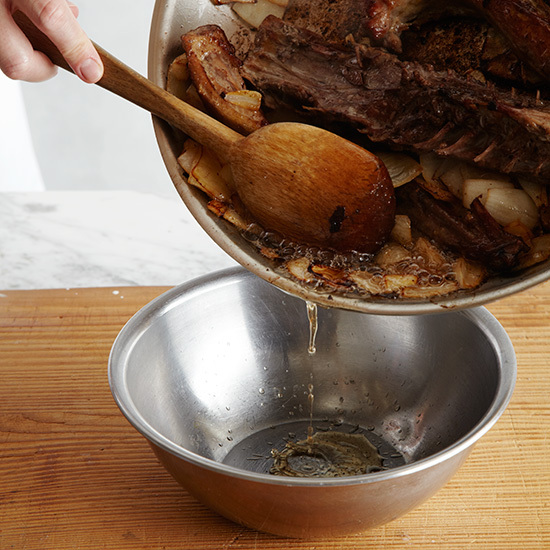 Roast for 10 minutes at 475°. 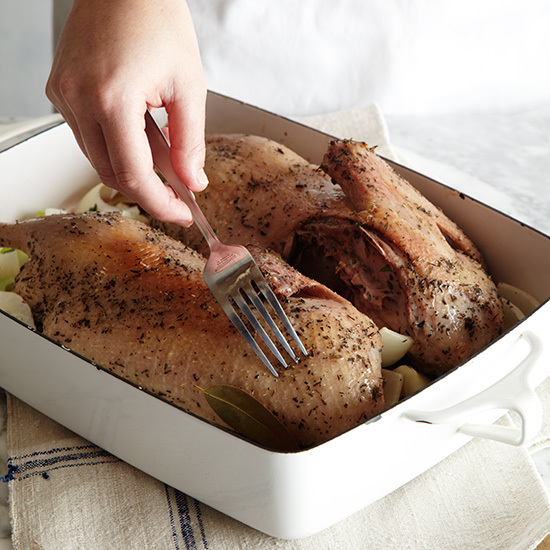 Prick the duck skin again, cover the pan with foil, reduce the oven temperature to 275° and roast for 3 hours longer. Meanwhile, in a large skillet, cook the backbone, neck and wing tips over low heat until well browned all over. Add the remaining chopped onions and cook over moderate heat until browned. 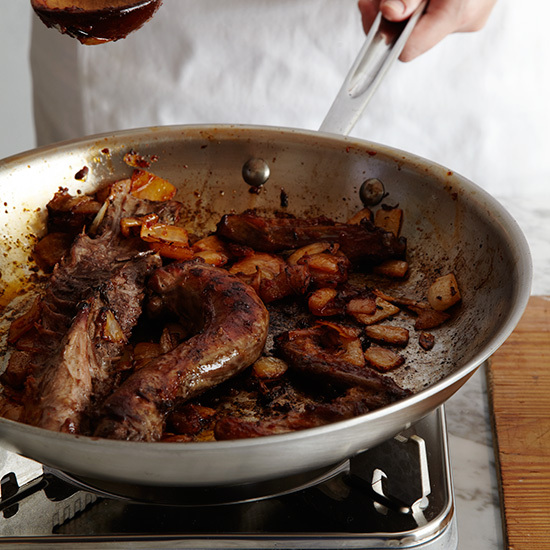 Pour off the fat from the skillet. 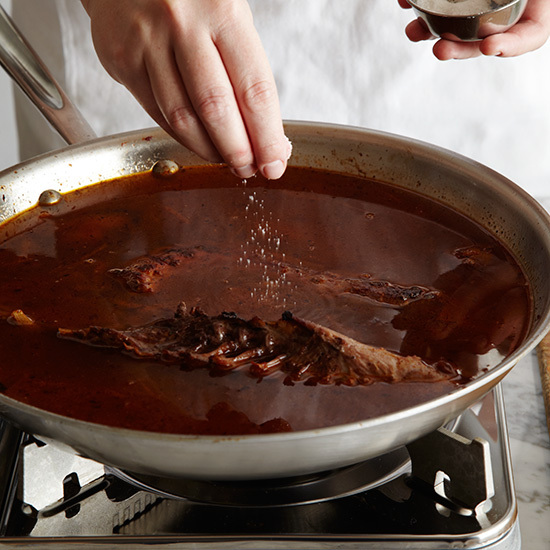 Add the tomato paste and cook, stirring, until it begins to brown. Add the white wine and bring to a boil. Add the water, chicken stock and sugar. Simmer until the liquid is reduced to 1 cup, about 1 hour. 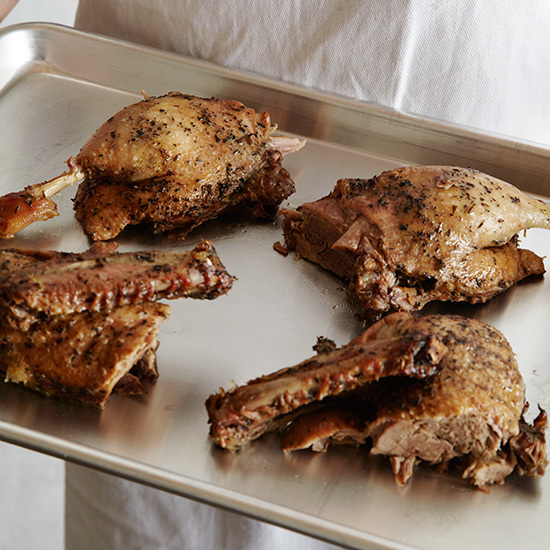 When the duck is done roasting, the meat will be very tender and most of the fat will have rendered. Transfer the duck halves to a work surface. Halve each half; remove any vegetables, pockets of fat and loose bones. 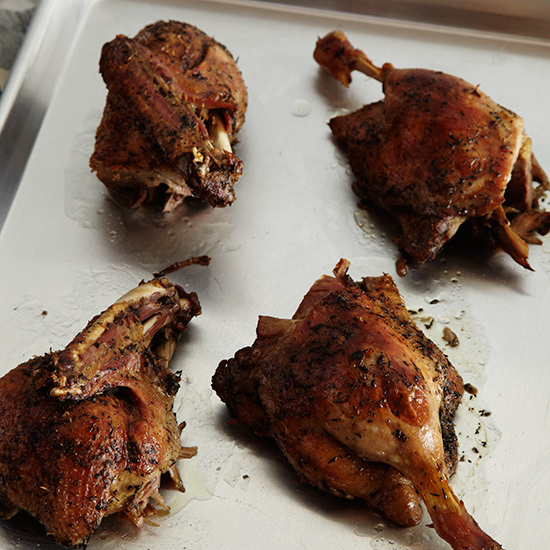 Transfer the duck pieces to a rimmed baking sheet, skin side up. 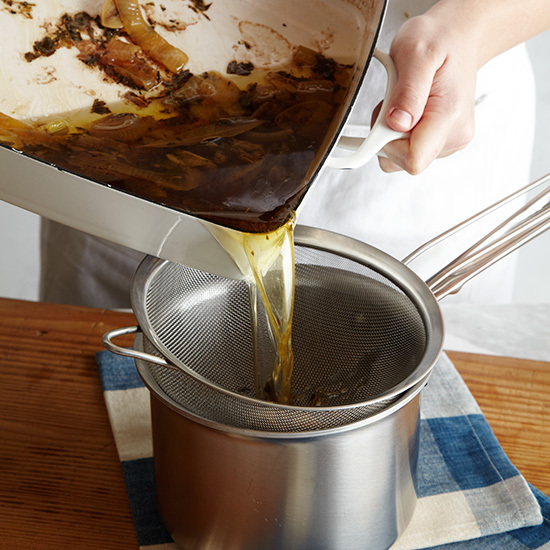 Strain the juices from the roasting pan into a saucepan and skim off the fat. 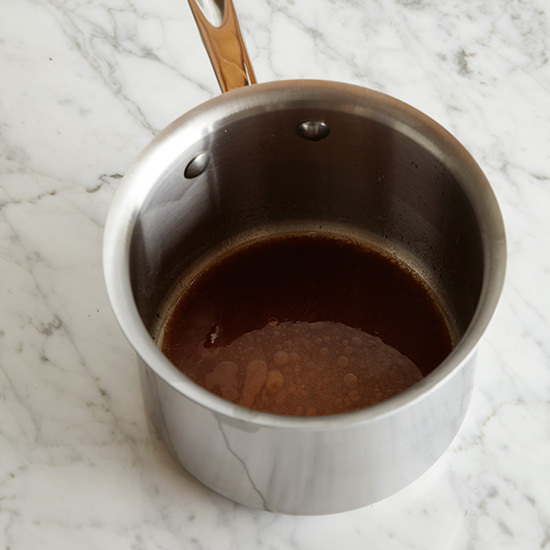 Boil the strained juices until reduced to 1/4 cup. 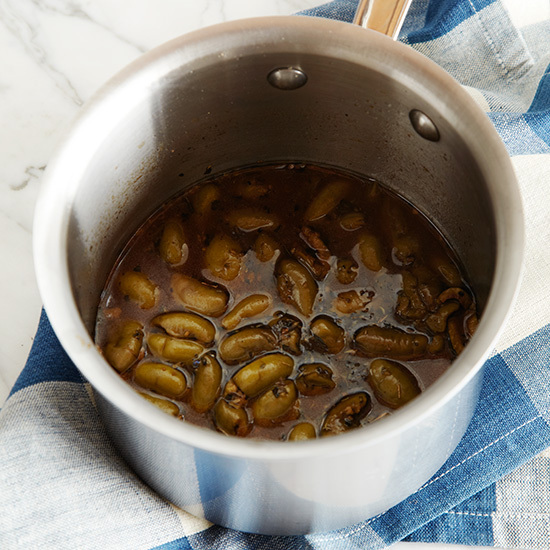 Add the strained stock and the olives to the saucepan and simmer for 10 minutes. 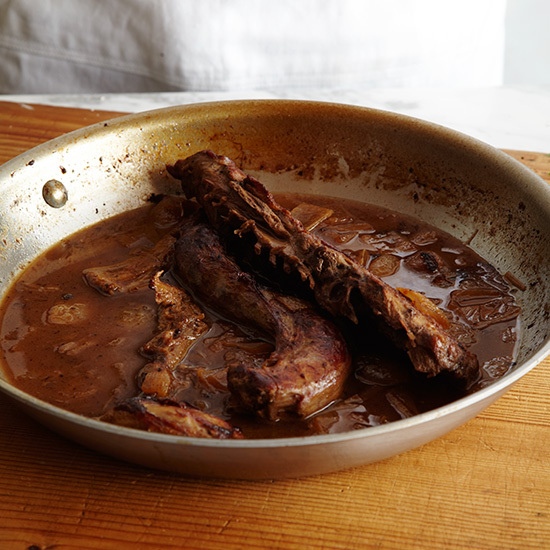 Season the sauce with salt, pepper and herbes de Provence. Broil the duck until it is hot and the skin is crisp. 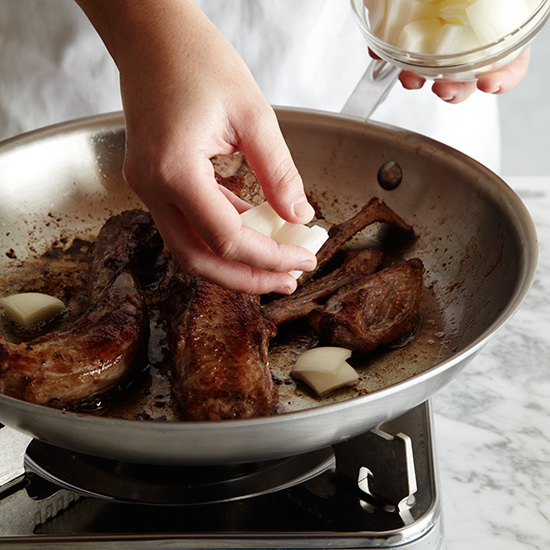 Spoon the sauce onto a platter and set the duck on top. Sprinkle with the remaining parsley and thyme and serve.